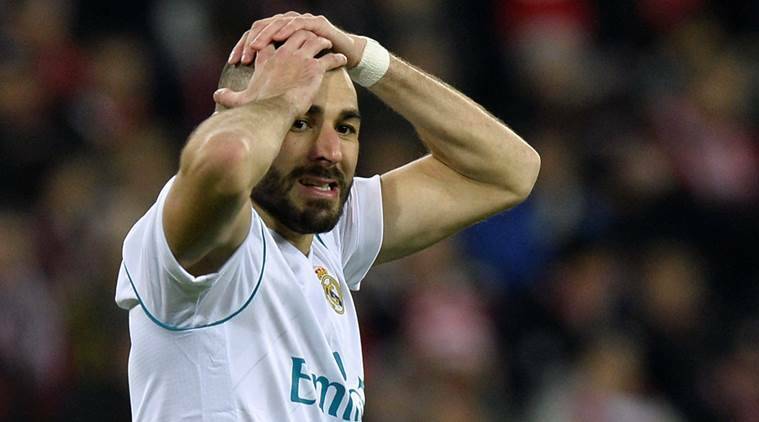 French football federation president Noel Le Graet played down the Real Madrid striker Karim Benzema's chances of a recall. Karim Benzema’s hopes of returning to France’s national soccer team appear to be shrinking. In an interview with local newspaper Ouest France published Wednesday, French soccer federation president Noel Le Graet played down the Real Madrid striker’s chances of a recall. “I believe that it’s over for him with Les Bleus, especially since he may have been less fit for some time,” Le Graet said. Benzema, whose last game with France was in October 2015, has been named in the 30-man shortlist for the Ballon d’Or award for the best player of the year. But his relationship with France coach Didier Deschamps remains frosty. Deschamps has not called up Benzema since he claimed that the national team coach bowed to the pressure of a racist part of France when agreeing to leave him out of the group of players for the 2016 European Championship.